Join us for the Grand Opening at Weston Heights in Renton! Our designer-furnished model home grand opening is this Saturday and Sunday, July 14th and 15th, 12 to 5 p.m.
Weston Heights is in a great Renton Highlands location, off Nile Ave NE, within the sought-after Issaquah School District. Many homes back to a protected wetlands area, offering a lush green outlook beyond the finished backyard. Homes at Weston Heights range from 2,170 to 3,774 sq.ft., some with 3-car garages. The first homes will be ready to move in this September. 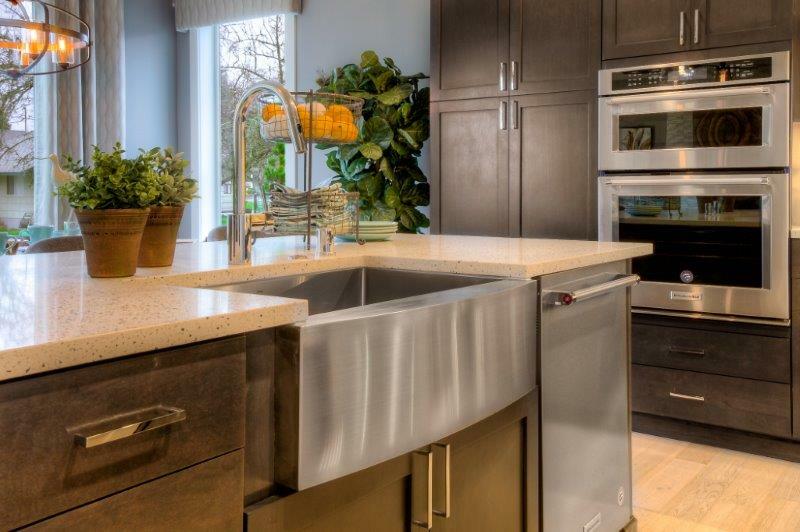 Homes include our highest level of interior finishes. Great rooms center around a contemporary gas fireplace with floor-to ceiling tile and wood mantle. Kitchens come complete with huge work island, stainless steel farmhouse style sink, pendant lights, stainless steel appliances, quartz countertops, full-height backsplash and rich wood cabinets with lower cabinet pull-out shelves. King-size master bedroom suites have a five-piece ensuite bath with freestanding soaking tub, floor-to-ceiling walls of tile, fully tiled walk-in shower and quartz-topped dual-sink vanity. Come tour our model home this week! Open at 684 Nile Ave NE, Renton. For more information or a private showing, call or text Sarah Heath, 253.653.6299.